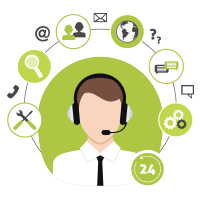 Typically, clients come to DemandGen asking for help with contact data because they upload from lists all the time and the lists are large in volume. Even though many errors are easy to fix, the sheer volume of contacts makes errors hard to identify and resolve. Many organizations spend hours correcting or enhancing data in their list uploads. . .or worse, in their platforms, where it is much harder to resolve. A tremendous amount of time, money, and effort can be saved by implementing a data validation solution. With specific data points, it’s possible to automatically seek and correct errors or to instantly identify data that’s missing and needs to be addressed, all before the file is uploaded into Eloqua or Marketo. 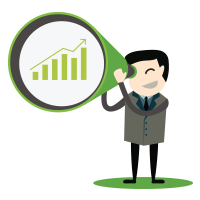 Best of all, DemandGen already has a solution that can be customized to your needs! To build your List Validator, we first examine your standard upload to establish the details of your required fields, such as field value sets and formats. For example, a United States contract requires a minimum of five numeric characters in the zip code field, whereas a Canadian zip code field should require six alphanumeric characters. 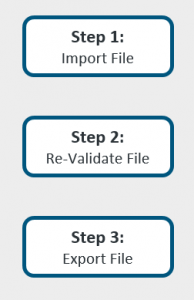 Taking samples from your standard upload file and your validation rules, we apply our DemandGen magic to create your custom List Validator, which is an Excel file that you use on your own computers. We chose this approach because Excel has a robust set of data comparison and evaluation functions and because just about everyone has Excel and knows how to use it. Simple is best, right? So, validating your list file is a simple matter of three buttons. Record level error. The tool analyzes every field, so you’ll see the exact cell that violates the rule. And you’ll see the problem at a glance because it’s highlighted in yellow with a popup explanation. Automatic data appends are highlighted in green – and every single one is something you didn’t have to do! Additional corrections can be made manually, or you can use Excel’s functionality to search and replace. Revalidate. When you’re done making corrections, the Revalidate button applies all the rules again. You’ll either see no errors or if you missed anything you’ll have the chance to fix it. You can use the Revalidate button as many times as needed. Export. When you’re ready, simply click that Export button to export a new file that is clean, accurate, and ready to upload. If you have a need to validate data externally from your platform, for any reason, our List Validator is an intuitive and affordable solution. Please contact us so that we may discuss the customized solution that we can develop for you.